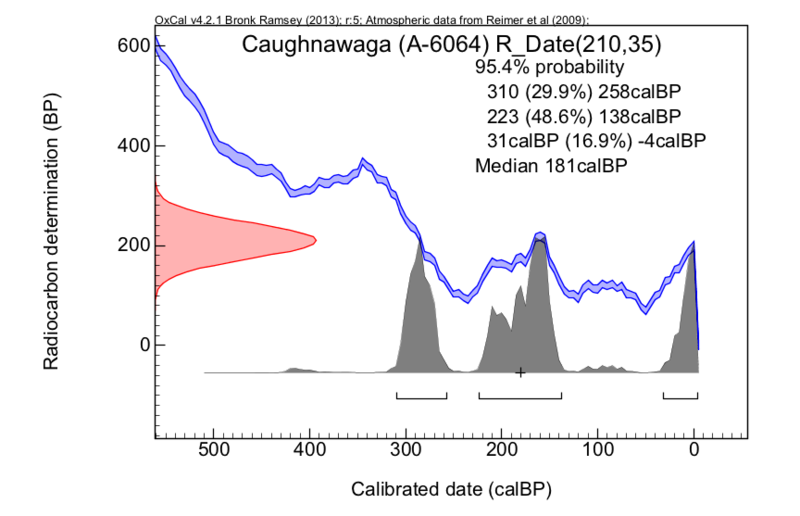 Snow (1995:443) says of this sample: "A single standard radiocarbon date was obtained on maize kernels from the Caughnawaga site. 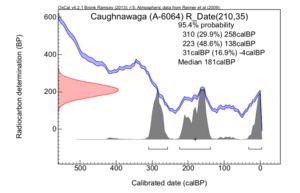 The results were not entirely conclusive, mainly because the radiocarbon technique is not reliable for samples postdating 1650." However, the date falls within the known historic age of the site. This date has also been reported in the Canadian Archaeological Radiocarbon Database (CARD) (Morlan and Betts 1999).